The independent Local Government Boundary Commission for England has published its final recommendations for new electoral arrangements for West Berkshire Council. 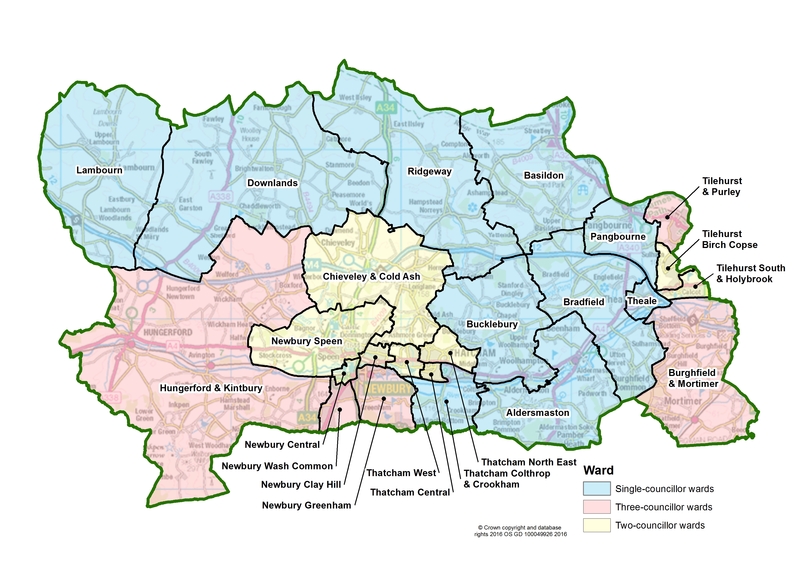 Illustrate your story with a map of the new ward boundaries. Today’s publication follows public consultation on its draft proposals last year and draws new boundaries for each council ward across West Berkshire. The Commission’s final recommendations propose that West Berkshire should be represented by 43 councillors in the future: nine fewer than the current arrangement. The recommendations also propose that those councillors should represent five three-councillor wards, nine two-councillor wards and ten one-councillor wards across West Berkshire. Professor Colin Mellors, Chair of the Commission, said, “We are extremely grateful to people across West Berkshire who took part in the review. The Commission has looked at all the evidence that was put forward during the consultation. In response to local feedback during consultation, the Commission has changed some of the recommendations it published in August 2017. For example, in the Thatcham area, local people and organisations argued that the Commission’s proposed Thatcham Central & Crookham ward should be split into two separate wards to better reflect the shape of community ties in the area. The Commission was persuaded by the evidence and has amended its recommendations so that the area will be covered by a Thatcham Central ward alongside a Thatcham Colthrop & Crookham ward. In the east of the council area, the Commission has also responded positively to local evidence that suggested its three-councillor Aldermaston & Bucklebury ward should be divided into smaller wards. The Commission has amended its recommendation so the area will now be covered by an Aldermaston ward, a Bradfield ward and a Bucklebury ward which will each be represented by one councillor. In the north of the council area, the Commission has changed its draft recommendations for a Basildon & Compton ward to be represented by two councillors. Local people told the Commission during consultation that community identities would be represented better by two one-councillor wards. The Commission is therefore proposing a Basildon ward alongside a Ridgeway ward, both of which will be represented by one councillor. Elsewhere in West Berkshire, the Commission has made minor changes to its recommendations to reflect local evidence as well as adding the prefix Newbury to wards representing the town. The electoral review of West Berkshire Council is a separate undertaking from the review of parliamentary constituency boundaries which is being carried out by a separate body (Boundary Commission for England) under different rules and legislation. Full details of the Commission’s final recommendations (including maps) can be viewed at: https://consultation.lgbce.org.uk/node/9157.